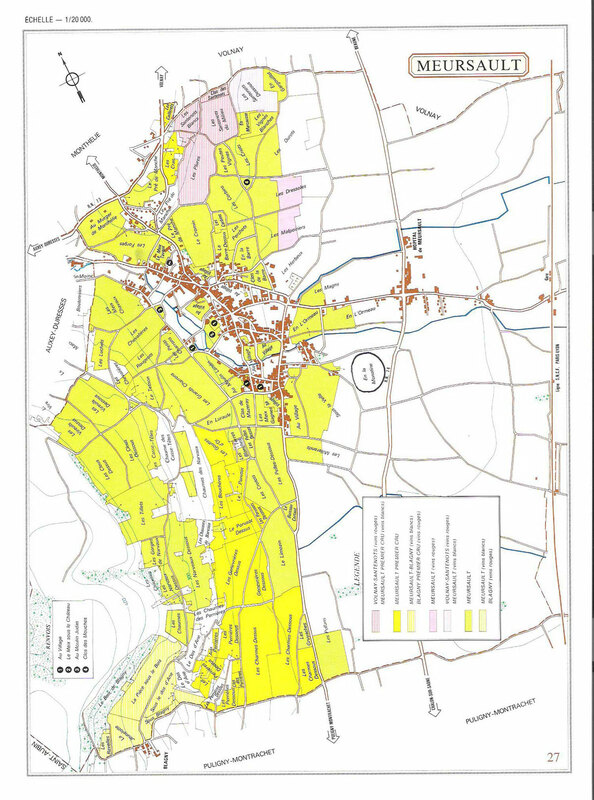 Meursault is just south of Volnay and Monthelie. It starts what is probably the most famous run of white-wine vineyards in the world – Meursault, Puligny-Montrachet, and Chassagne-Montrachet. Meursault is famous for its full and rich whites, which often have a honeyed and walnut flavor. They are serious food wines that add to any meal when paired properly. The slogan of this town is “Qui boit du Meursault, ne vit ni ne meurt sot.” Translated, it means that whoever drinks wines from Meursault will neither live, nor die, a fool. In French, it’s also a play on words, but the translation is wonderful by itself. We have 2 winemakers who make an assortment of incredible wines from Meursault, including some of their famous Premier Crus. One makes classic wines that are good to start, but simply get better and better and better. Another makes wines that are more approachable and pleasant earlier. Together, they give us an appealing taste of these sought-after wines. Please call us to learn more about our Meursault Wines and their availability.